I just started using appium-desktop and after a few days I ended up thinking “how nice would it be to have a “copy to clipboard” button next to the unique ids”. At first I thought about contributing myself to the project but I’m starting an automation framework for a new company I recently joined so I’m totally swamped with work. 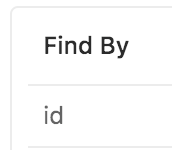 I don’t use appium-desktop inspector, but I feel your pain with the inspectors I use for huge ids. Adding @Daniel_Graham to see what he thinks. I use uiautomatorviewer for Android and https://github.com/mykola-mokhnach/Appium-iOS-Inspector for iOS. But I do like your idea for the desktop, that’s why I added DGranham because he his the main contributor of it. This should be simple enough to implement. If you put in an issue on GitHub I can add it to our backlog.